Global Travel Media » Blog Archive » Cocktails and Coconuts in The Heart of The City… Bloomsbury’s Very Own Beach Bar Is Back! 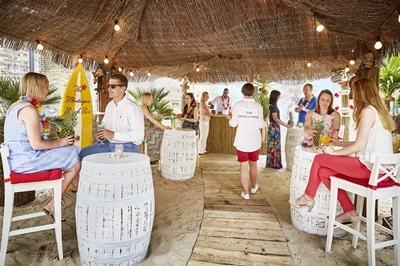 Cocktails and Coconuts in The Heart of The City… Bloomsbury’s Very Own Beach Bar Is Back! Returning bigger and better, with a refined design and all new drinks and BBQ menu for summer 2017, visitors will enjoy a Bahamian beach setting, complete with real sand underfoot and a beach-hut style thatched roof, transporting Londoners straight into summer. 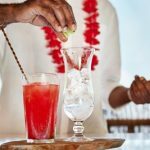 A delicious menu of tropical cocktails and barbequed burgers of all varieties (from classic beef to chicken, tuna and veggie options) starts from £10 (AUS$17.50). The Montague Beach Bar will open its doors on 1 June 2017 and will run throughout the summer until 24 September 2017. Visitors are encouraged to call the hotel and check availability ahead of dropping in to the Beach Bar, and opening times are midday until 10:00pm, seven days a week. Those craving a summery break from the city can enter The Montague Beach Bar’s Jet Ski Selfie competition, back for a second year by popular demand. By taking a selfie on the Jet Ski provided at the venue and posting it on social using #SurfMontague, guests will be entered into a prize draw to win a two night stay at The Montague’s sister hotel, the luxurious five star Summer Lodge Country House Hotel & Spa in the village of Evershot, nestled in the picturesque Dorset countryside. To avoid disappointment this summer, The Montague advises calling the Beach Bar before visiting. Individuals or groups of up to 10 people should call +44 (0) 20 7637 1001. For groups of 10 or more people, or for private hire, call +44 (0) 20 7612 8411 or email meetmt@rchmail.com. 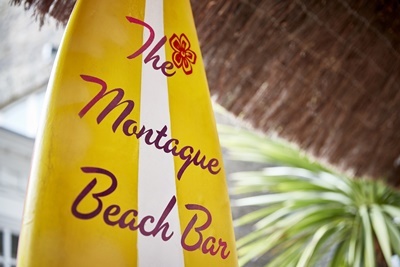 For more information about the Montague Beach Bar please visit montaguehotel.com/ski-and-surf/the-beach-bar.